Book by Nathan Gardels and Nicolas Berggruen: “The rise of populism in the West and the rise of China in the East have stirred a rethinking of how democratic systems work—and how they fail. The impact of globalism and digital capitalism is forcing worldwide attention to the starker divide between the “haves” and the “have-nots,” challenging how we think about the social contract. With fierce clarity and conviction, Renovating Democracy tears down our basic structures and challenges us to conceive of an alternative framework for governance. To truly renovate our global systems, the authors argue for empowering participation without populism by integrating social networks and direct democracy into the system with new mediating institutions that complement representative government. They outline steps to reconfigure the social contract to protect workers instead of jobs, shifting from a “redistribution” after wealth to “pre-distribution” with the aim to enhance the skills and assets of those less well-off. Lastly, they argue for harnessing globalization through “positive nationalism” at home while advocating for global cooperation—specifically with a partnership with China—to create a viable rules-based world order. Thought provoking and persuasive, Renovating Democracy serves as a point of departure that deepens and expands the discourse for positive change in governance….(More)”. Book by Gerald C. Kane, Anh Nguyen Phillips, Jonathan R. Copulsky and Garth R. Andrus: “Digital technologies are disrupting organizations of every size and shape, leaving managers scrambling to find a technology fix that will help their organizations compete. This book offers managers and business leaders a guide for surviving digital disruptions—but it is not a book about technology. It is about the organizational changes required to harness the power of technology. The authors argue that digital disruption is primarily about people and that effective digital transformation involves changes to organizational dynamics and how work gets done. A focus only on selecting and implementing the right digital technologies is not likely to lead to success. The best way to respond to digital disruption is by changing the company culture to be more agile, risk tolerant, and experimental. Digital disruption won’t end anytime soon; the average worker will probably experience numerous waves of disruption during the course of a career. The insights offered by The Technology Fallacy will hold true through them all….(More)”. Book by Alfredo M. Ronchi: “This book explores the main elements of e-Democracy, the term normally used to describe the implementation of democratic government processes by electronic means. It provides insights into the main technological and human issues regarding governance, government, participation, inclusion, empowerment, procurement and, last but not least, ethical and privacy issues. Its main aim is to bridge the gap between technological solutions, their successful implementation, and the fruitful utilization of the main set of e-Services totally or partially delivered by governments or non-government organizations. Book by Daniel Aldrich: “Despite the devastation caused by the magnitude 9.0 earthquake and 60-foot tsunami that struck Japan in 2011, some 96% of those living and working in the most disaster-stricken region of Tōhoku made it through. Smaller earthquakes and tsunamis have killed far more people in nearby China and India. What accounts for the exceptionally high survival rate? And why is it that some towns and cities in the Tōhoku region have built back more quickly than others? Black Wave illuminates two critical factors that had a direct influence on why survival rates varied so much across the Tōhoku region following the 3/11 disasters and why the rebuilding process has also not moved in lockstep across the region. Individuals and communities with stronger networks and better governance, Daniel P. Aldrich shows, had higher survival rates and accelerated recoveries. Less connected communities with fewer such ties faced harder recovery processes and lower survival rates. Beyond the individual and neighborhood levels of survival and recovery, the rebuilding process has varied greatly, as some towns and cities have sought to work independently on rebuilding plans, ignoring recommendations from the national governments and moving quickly to institute their own visions, while others have followed the guidelines offered by Tokyo-based bureaucrats for economic development and rebuilding….(More)”. Open Access Book by Ben Green: “Smart cities, where technology is used to solve every problem, are hailed as futuristic urban utopias. We are promised that apps, algorithms, and artificial intelligence will relieve congestion, restore democracy, prevent crime, and improve public services. 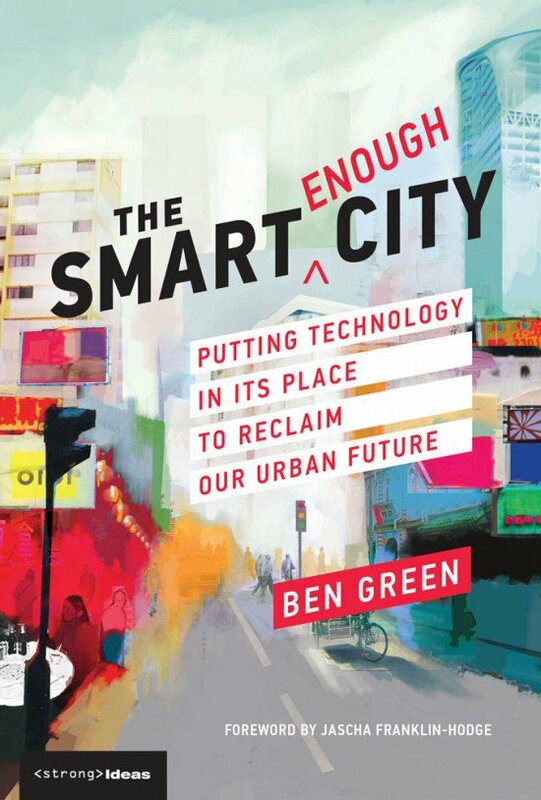 In The Smart Enough City, Ben Green warns against seeing the city only through the lens of technology; taking an exclusively technical view of urban life will lead to cities that appear smart but under the surface are rife with injustice and inequality. He proposes instead that cities strive to be “smart enough”: to embrace technology as a powerful tool when used in conjunction with other forms of social change—but not to value technology as an end in itself….(More)”. Book by Saskia Hollander: “This book demonstrates that the generally assumed dichotomy between referendums and representative democracy does not do justice to the great diversity of referendum types and of how referendums are used in European democracies. Although in all referendums citizens vote directly on issues rather than letting their political representatives do this for them, some referendums are more direct than others. Book by David Beer: “A significant new way of understanding contemporary capitalism is to understand the intensification and spread of data analytics. This text is about the powerful promises and visions that have led to the expansion of data analytics and data-led forms of social ordering. It is centrally concerned with examining the types of knowledge associated with data analytics and shows that how these analytics are envisioned is central to the emergence and prominence of data at various scales of social life. This text aims to understand the powerful role of the data analytics industry and how this industry facilitates the spread and intensification of data-led processes. As such, The Data Gaze is concerned with understanding how data-led, data-driven and data-reliant forms of capitalism pervade organisational and everyday life. Using a clear theoretical approach derived from Foucault and critical data studies the text develops the concept of the data gaze and shows how powerful and persuasive it is. It’s an essential and subversive guide to data analytics and data capitalism. …(More)”. Book by Christoph Lütge: “Countering the claims that competition contradicts and undermines ethical thought processes and actions, Christoph Lütge successfully argues that competition and ethics do not necessarily have to oppose one another. He highlights how intensified competition can in fact work in favour of ethical goals, and that many criticisms of competition stem from an outdated understanding of how modern societies and economies function. Illustrating this view with examples from ecology, healthcare and education, the author calls for a more entrepreneurial spirit in analysing the relationship between competition and ethics. This book delivers important arguments for the ethics of innovation, using a combination of theoretical and practical evidence to support it. Researchers and scholars of economics, business, philosophy and politics will greatly benefit from the fresh interdisciplinary perspectives and thorough exploration of the complex relationship between modern competition and ethics….(More)”. Book edited by Alison Tonkin and Julia Whitaker: “The role of play in human and animal development is well established, and its educational and therapeutic value is widely supported in the literature. This innovative book extends the play debate by assembling and examining the many pieces of the play puzzle from the perspective of public health. It tackles the dual aspects of art and science which inform both play theory and public health policy, and advocates for a ‘playful’ pursuit of public health, through the integration of evidence from parallel scientific and creative endeavors. Drawing on international research evidence, the book addresses some of the major public health concerns of the 21st century – obesity, inactivity, loneliness and mental health – advocating for creative solutions to social disparities in health and wellbeing. From attachment at the start of life to detachment at life’s ending, in the home and in the workplace, and across virtual and physical environments, play is presented as vital to the creation of a new ‘culture of health’. This book represents a valuable resource for students, academics, practitioners and policy-makers across a range of fields of interest including play, health, the creative arts and digital and environmental design….(More)”. Book edited by the Information Resources Management Association: “Businesses are looking for methods to incorporate social entrepreneurship in order to generate a positive return to society. Social enterprises have the ability to improve societies through altruistic work to create sustainable work environments for future entrepreneurs and their communities. Social Entrepreneurship: Concepts, Methodologies, Tools, and Applications is a useful scholarly resource that examines the broad topic of social entrepreneurship by looking at relevant theoretical frameworks and fundamental terms. It also addresses the challenges and solutions social entrepreneurs face as they address their corporate social responsibility in an effort to redefine the goals of today’s enterprises and enhance the potential for growth and change in every community. Highlighting a range of topics such as the social economy, corporate social responsibility, and competitive advantage, this multi-volume book is ideally designed for business professionals, entrepreneurs, start-up companies, academics, and graduate-level students in the fields of economics, business administration, sociology, education, politics, and international relations…. (More)”.